Sarah Eagle Heart is a powerful storyteller whose deep perspective on healing trauma is rooted in her life story and experiences as a teen activist raised on Pine Ridge Indian Reservation. She is a member of the Oglala Lakota Nation, CEO of Native Americans in Philanthropy, and an internationally accomplished executive focused on education and advocacy on behalf of Indigenous peoples. She has spent the last decade centered on building momentum around healing and sustainability in the spirit of cultural revitalization – work that has been successful because of her influence and ability to activate key leaders from grassroots to corporate level through capacity building. 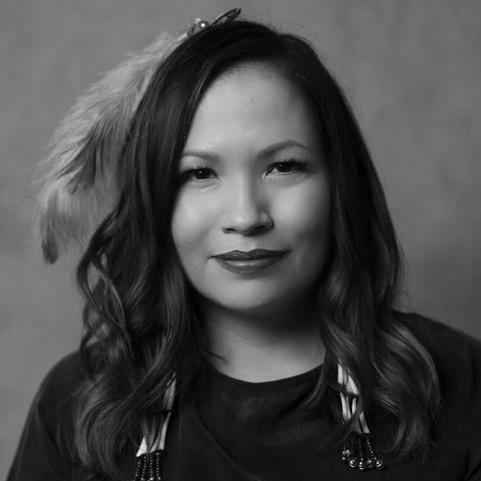 Her diverse background in tribal, corporate, and non-profit organizations focusing on communications, marketing, program development, and advocacy offers a vantage point that powerfully amplifies impact. Her latest philanthropy and influencer partnership is VR project “Crow: The Legend” with BaoBab Studios starring John Legend, Oprah Winfrey, Tye Sheridan and Liza Koshy.